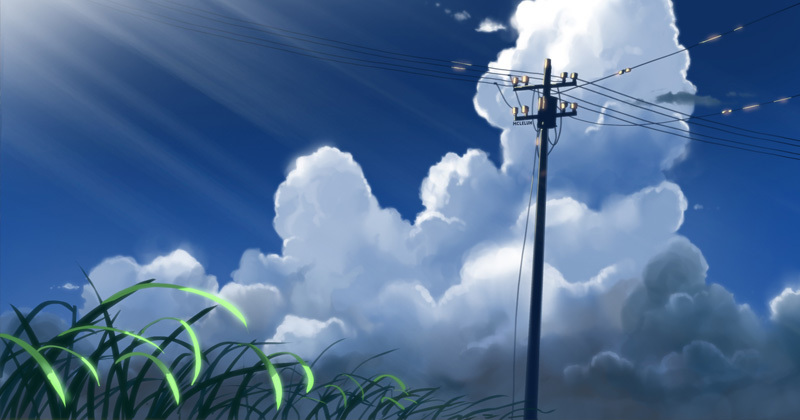 One hour photoshop painting of simple cloud scene in Makoto Shinkai style. This colour palette is mostly seen in his earlier films such as "The Place Promised in Our Early Days" and "Voices of A Distant Star". 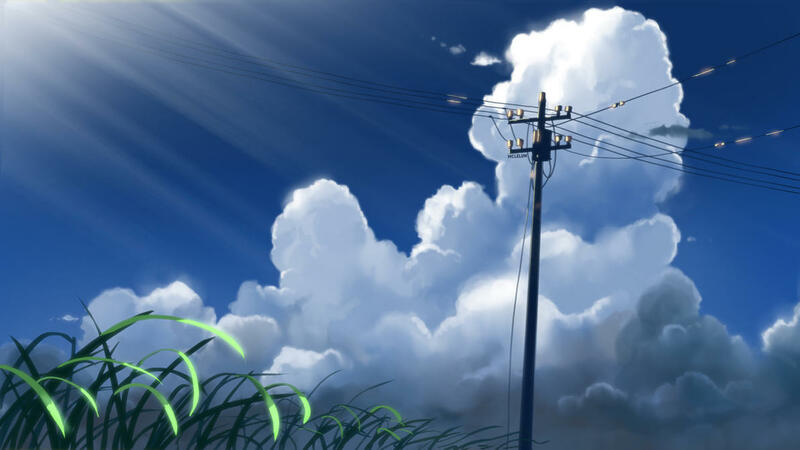 For anime style background painting tutorial, have a look at the following links.